The overwhelming majority of bugs and crashes in computer programming stem from problems of memory access, allocation, or deallocation. Such memory related errors are also notoriously difficult to debug. 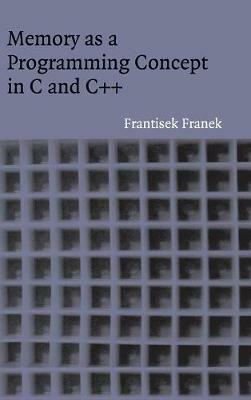 Yet the role that memory plays in C and C++ programming is a subject often overlooked in courses and in books because it requires specialised knowledge of operating systems, compilers, computer architecture in addition to a familiarity with the languages themselves. Most professional programmers learn entirely through experience of the trouble it causes. This 2004 book provides students and professional programmers with a concise yet comprehensive view of the role memory plays in all aspects of programming and program behaviour. Assuming only a basic familiarity with C or C++, the author describes the techniques, methods, and tools available to deal with the problems related to memory and its effective use.